This is another one of those cool, inexpensive gadgets that take the hassle out of keeping your axe purring like a kitten. I don't know how I got along without one of these all those years. No more looking for the right size Allen wrench in the bottom of the tool box. It keeps the right size wrenches right on the back of the headstock where they are available in seconds. No more guessing on the sizes. No more excuses for not having your Floyd Rose system adjusted to perfection at all times. 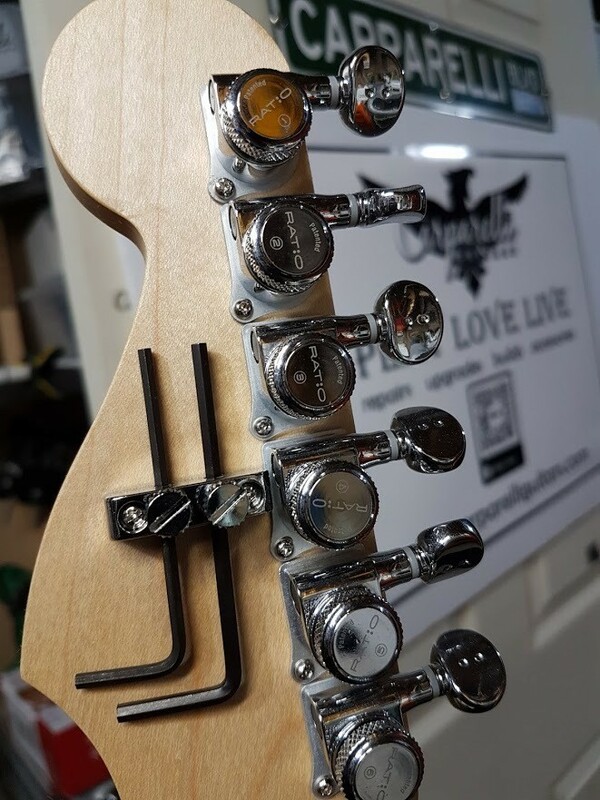 Holds two hex wrenches (included) in one convenient place on the back of the guitar headstock. Easy to remove wrench holders let you remove and return your hex keys without the need for tools or knobs.